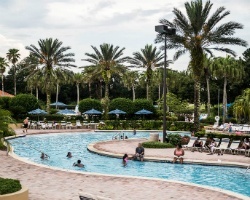 *Holiday Inn Club Vacations at Orange Lake Resort North Village* has green fairways, deep blue lakes, and neatly tailored villas, making this the perfect place for your Orlando vacation! Located on the shores of the 80-acre Orange Lake, this beautiful resort offers boating, fishing, board sailing, water-skiing, and sunbathing. Golfers can play any of the four distinct golf courses and tennis players can choose from 6 courts on site. 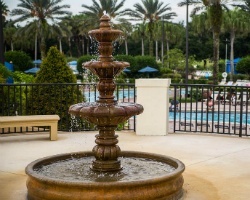 In addition to area attractions such as Walt Disney World, SeaWorld, and Wet 'N Wild Water Park, visit the resort's numerous family-friendly amenities. 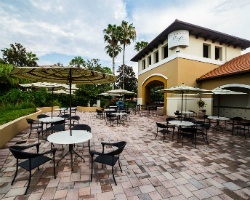 To discover more about this beautiful resort, visit www.holidayinnclub.com. *RCI Gold Crown Rated* Featuring a finely appointed 2 bedroom, 2 bath villa that will accommodate 8 guests comfortably. Usage is annual in week 23. For more information or to make an offer, please submit the inquiry form.